Placarding is a vital part of the hazardous materials shipping process. 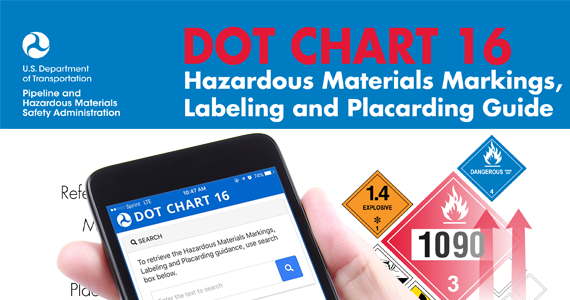 If you have ever driven down a highway, you have probably noticed trucks, tankers or freight containers with placards that resemble large hazard labels. These placards are meant to communicate the hazards being transported and such information is extremely useful to emergency responders in the event of an incident involving a hazardous material and how they must proceed if something happens to the vehicle bearing them. Over one million shipments containing hazardous materials are made each day in the United States. Placarding is important for the overwhelming majority of them. Here is some information on the federal regulations and rules regarding placarding requirements. When Do Placarding Requirements Apply? When a transport vehicle or freight container contains less than 454 kg (1001 lbs) aggregate gross weight of hazardous materials covered by Placarding Table 2, placards are not required. When Do the Regulations For Placarding Not Apply? Naturally, exceptions do exist for placarding and other hazardous material transportation requirements. People classify dangerous goods into nine distinct classes (some with further subdivisions) based on the specific hazards they present. Placards must show the class of the goods being transported. Subpart F divides these classes into two tables as noted above. As part of their job, hazmat employees must know and abide by the specific rules regarding the placarding requirements. The information on this part of the process must be included in the mandatory training that each employee receives. Hazmat University online training is no exception to this practice. You can find everything you need to know about the rules regarding placarding in our online training programs for shipping by ground and multimodal shipping. Sign up with us today and you can begin learning immediately.